Calla lily candleholders at Ferndale's The Blacksmith Shop. Save a little room in your bags for these local treasures — all made with love and attention — for friends and loved ones. The Blacksmith Shop (455 Main Street, Ferndale, 707-786-4516) is a showcase for masters — and it's the largest of its kind in the United States. There are items at nearly any price point. 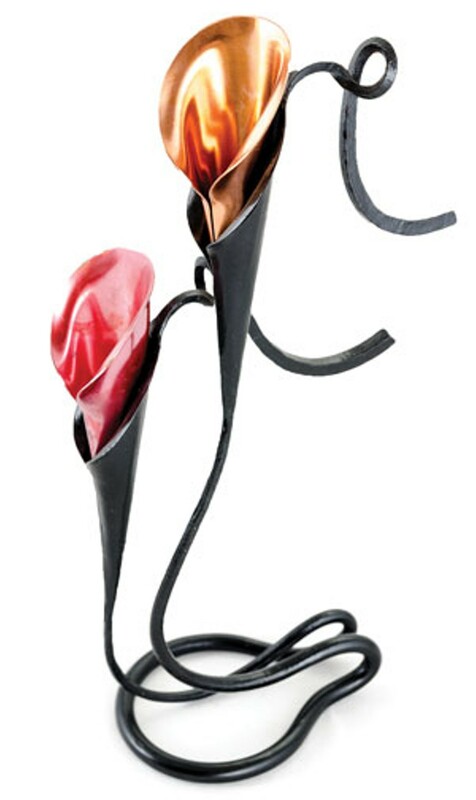 Splurge on Jack Brubaker's calla lily candleholders. $100 and up. www.ferndaleblacksmith.com. 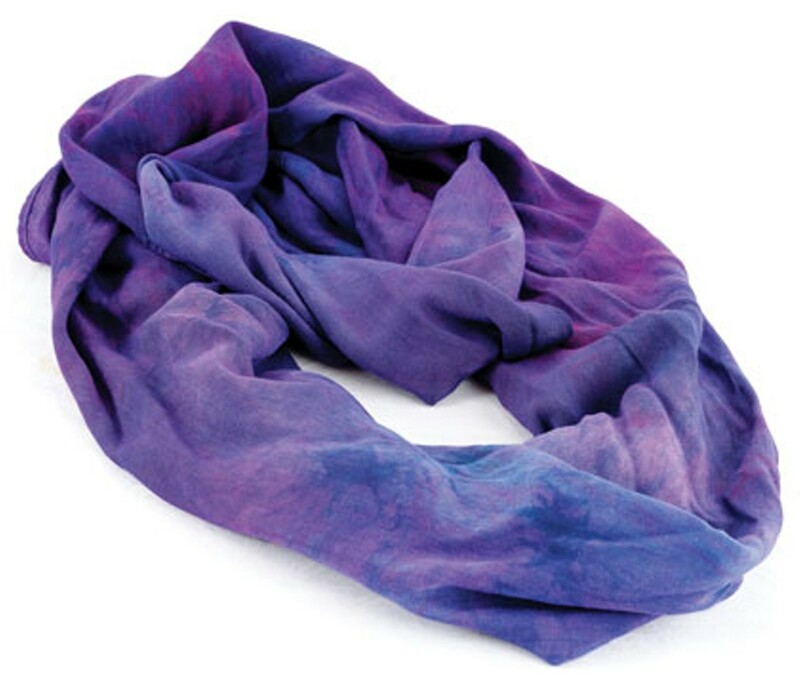 Mellow tie-dye infinity scarves — this is Humboldt after all. Enjoy some tastefully variegated colors without totally tripping everyone out. $15-$20. 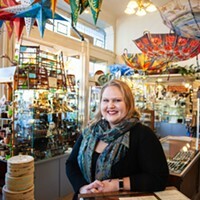 Bohemian Mermaid (511 Sixth St., Eureka 707-633-8431). www.bohemian-mermaid.com. 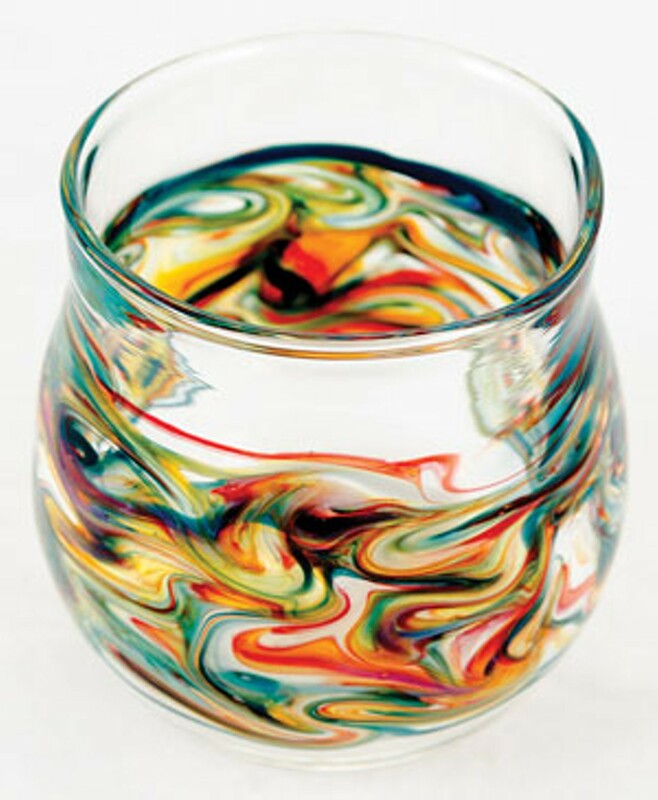 Hand-blown glassware from Mirador Glass. Locals love the pendant lamps, but this glassmaker also offers hand-blown tumblers and shot glasses with whorls and saturated colors. $15- $25. 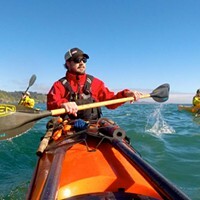 Mirador Glass (1590 Nursery Way, McKinleyville, 707-839-0909). www.miradorglass.com. 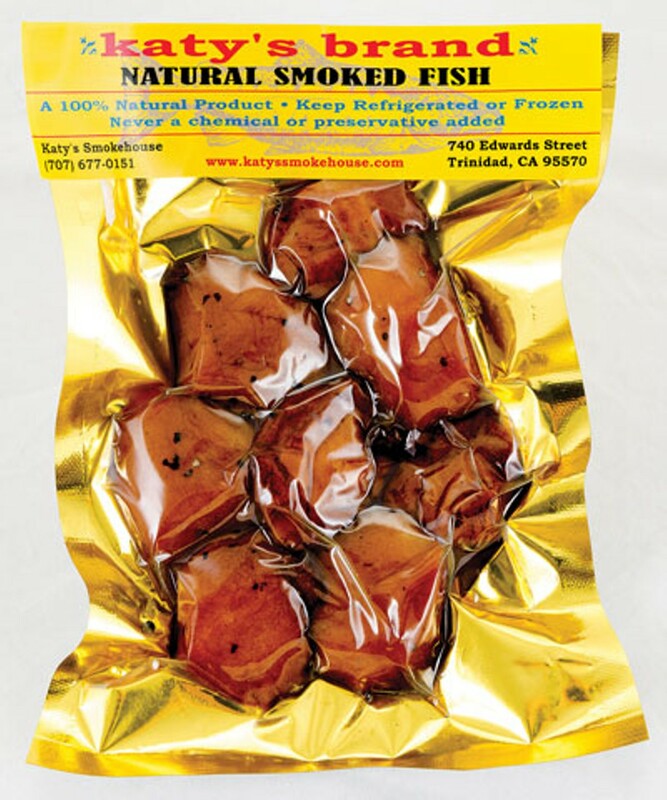 Smoked seafood from Katy's Smokehouse in Trinidad. Among the savory delights Katy's has been smoking for more than 60 years are the deeply flavored smoked scallops and the firm and spicy local salmon. $18-$37. Katy's Smokehouse (740 Edwards St., Trinidad (closed Tuesdays), 707- 677-0151). 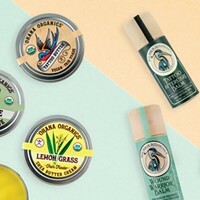 www.katyssmokehouse.com. 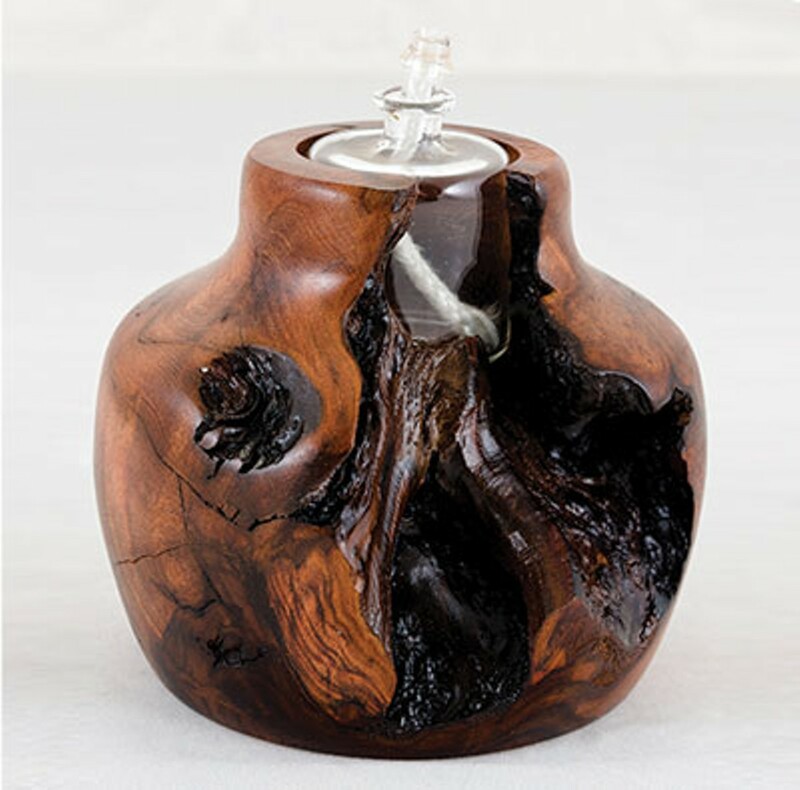 Burl oil lamp tealight from Art of the Burl Redwood Gallery. Burl oil lamp tea lights — these refillable mini luminaries are one-of-a-kind. $20-$35. 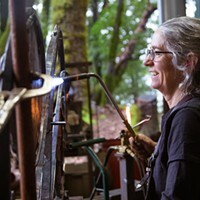 Art of the Burl Redwood Gallery (6609 Avenue of the Giants, Miranda, 707-943-3047). www.artoftheburlredwoodgallery.com. Editor's Note: Bohemian Mermaid's storefront has since closed. Gifts can be purchased on their website and at local events. Sat., April 20, 9-11 p.m. and Sun., April 21, 9-11 p.m.